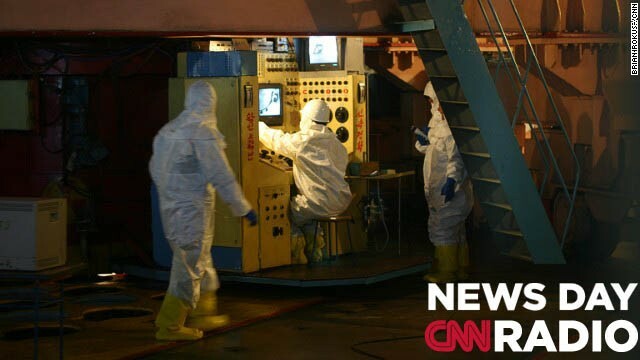 Workers remove fuel rods from the Yongbyon nuclear reactor in North Korea in February 2008. This image was one of a series taken during a trip to North Korea from February 23 to February 27, 2008 under the auspices of the New York Philharmonic's performance there. "The question now is 'what are their capabilities? How long would it take them to rebuild the cooling tower,and is the actual plant capable of immediately starting-up again? Most experts don't believe so." "Teachers should teach but if there is someone willing to go through this training...that is an appropriate resource the school should be able to utilize." "People are so nervous...you had the surveillance program in the previous administration, and people are worried in general about their privacy on the internet that it makes it an emotional issue. How do we get around that. That's the political problem." Here is a FACT for you. Back in the early 1960's we lived in a normal Canadian mid-size city and my sister rode public bus service everyday to and from school. She was also a member of the High Schools Gun club and once a week took her 22 caliber rifle to SCHOOL, ON PUBLIC TRANSIT, FULL OF MEMBERS OF THE GENERAL PUBLIC. Not in a case just on a strap over her shoulder. The bus driver caller he Annie Okley. Everybody knew that the GUN wasn't going to JUMP UP IN THE AIR and start shooting everyone on the bus. What do you think may have caused what used to be a NORMAL situation become FEARED by so many "IN ONE GENERATION"? It could not have happened by ACCIDENT, could it?